At Core Publishing Solutions we consider ourselves to be not only a supplier but also an information resource for our customers. We want you to have all of the information you need to make the best decisions for your company. Let us share our knowledge with you. Browse our free, downloadable content below. Learn the steps it takes to create a high quality book. 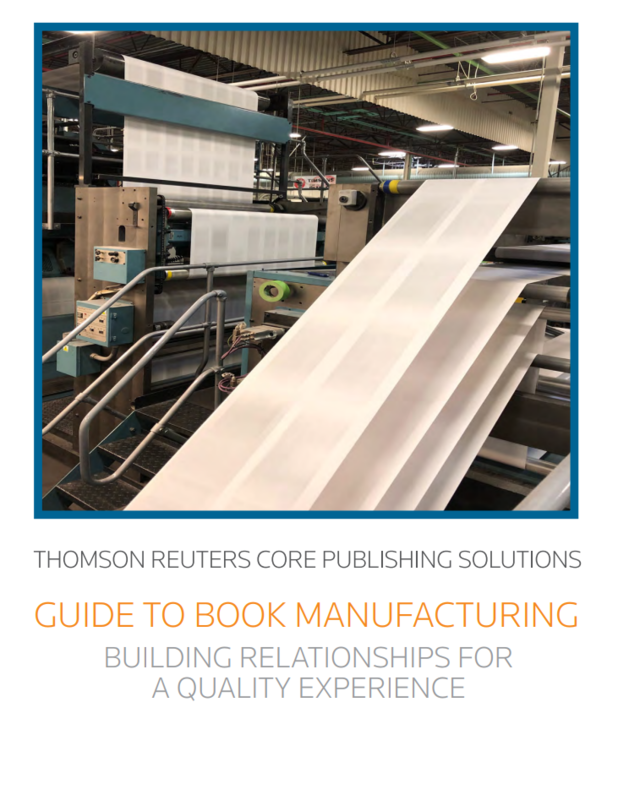 In this guide, you will gain a better understanding of the processes involved in creating, shipping, warehousing and distributing the 54 million books, pamphlets and newsletters produced annually at Thomson Reuters Core Publishing Solutions. 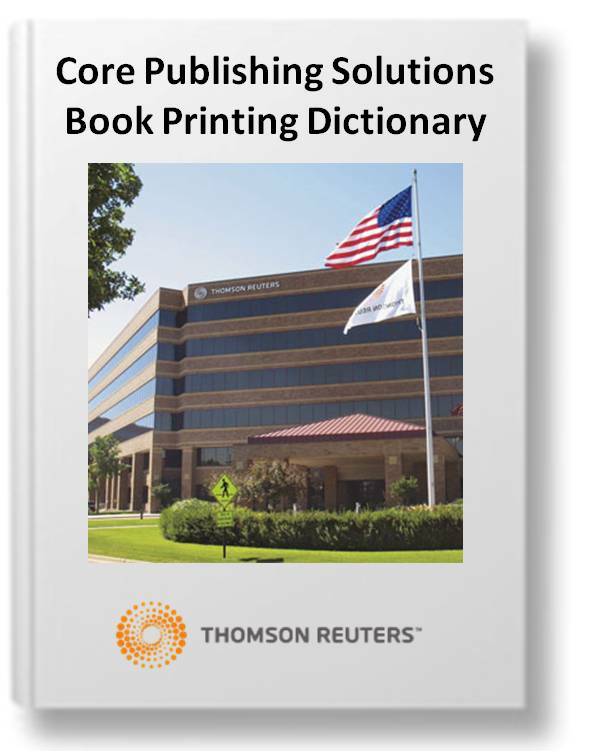 Seasoned publishing veterans and novices alike can benefit from our book printing dictionary. Help your coworkers communicate more effectively with all printers with our free 22-page dictionary, full of industry-wide printing terms, informed by over a centrury of experience in the printing industry. At Thomson Reuters Core Publishing Solutions, we like to say that not every publisher is alike. 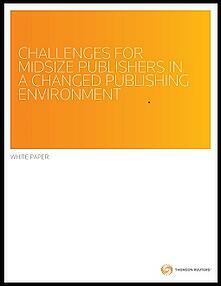 However, overall industry trends pose specific challenges to many publishers, which is why we aim to relieve these especially with our efficient solutions. Do the challenges outlined here sound familiar to you? We aren't just selling print and fulfillment solutions, but we genuinely desire to help you discern the best solution for your business. 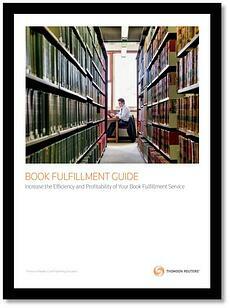 Whether you are presently printing in-house or out-of-house, our Book Fulfillment Guide will help you discern the best solution for your goals and budget.